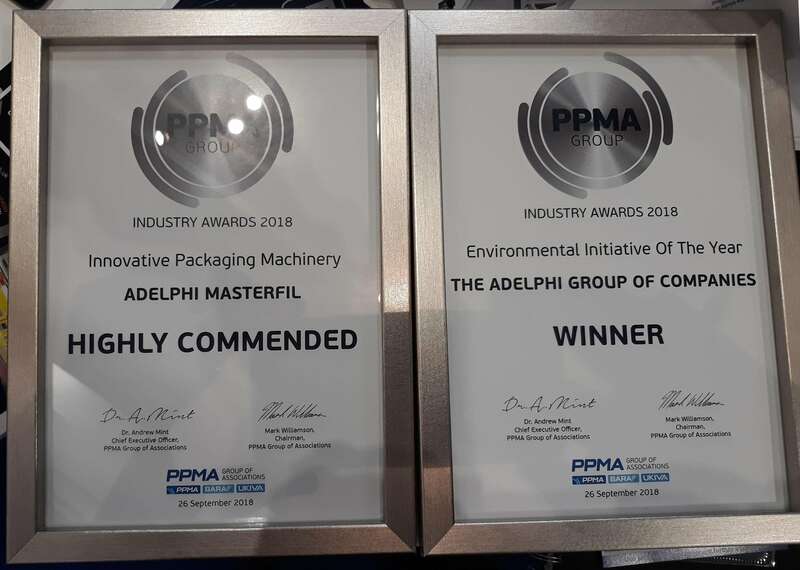 The Adelphi Group of Companies were thrilled last night to win the prestigious Environmental Initiative of the Year Award at the PPMA Show. PPMA established the Environmental Initiative award to recognise one company per year who have “demonstrated the most significant progress over the past 12 months in reducing its environmental impact”, with entrants being required to “outline key environmental initiatives and provide key performance indicators of the benefits achieved”. The winning entry outlined Adelphi’s eco-friendly production facility, The Friary, which was completed in October 2017. Exemplifying Adelphi’s core values, The Friary took into account energy efficiency at every stage of the build, and as a result had eco-friendly LED lighting installed, thermal testing conducted, high quality insulation introduced, and 256 photovoltaic solar panels mounted on the south-facing roof of Adelphi Healthcare Packaging’s warehouse, which now produce more electrical power than we use. The building was also constructed to harvest rainwater for use in the company’s cleaning and toilets. Whilst work was underway on The Friary, an old artesian well was uncovered, which was excavated, re-lined and recommissioned. This, along with the harvested rainwater, now serves all the buildings on site with water for cleaning and is also used for machine testing. Adelphi’s environmental awareness initiatives now extend beyond what has been facilitated by the building of The Friary. An air source heat pump has been installed to provide eco-friendly heating for our sister building Blacksmiths. We swapped plastic for paper cups in all water coolers and for all hot drinks, and have had a conscious drive of everyday recycling awareness among staff, taking our recycling of cardboard above 95% every month. In early 2018 we replaced our oldest company diesel car with a hybrid model, and will do the same for every company car we replace moving forward. We also recycle plastic, metal and glass wherever possible. We exchange offcuts of stainless steel at the local scrapyard. A local recycling company called Shredded Neat collect our waste cardboard and plastic. Biffa also collect our recycled card, cans and plastic bottles generated by staff food consumption. 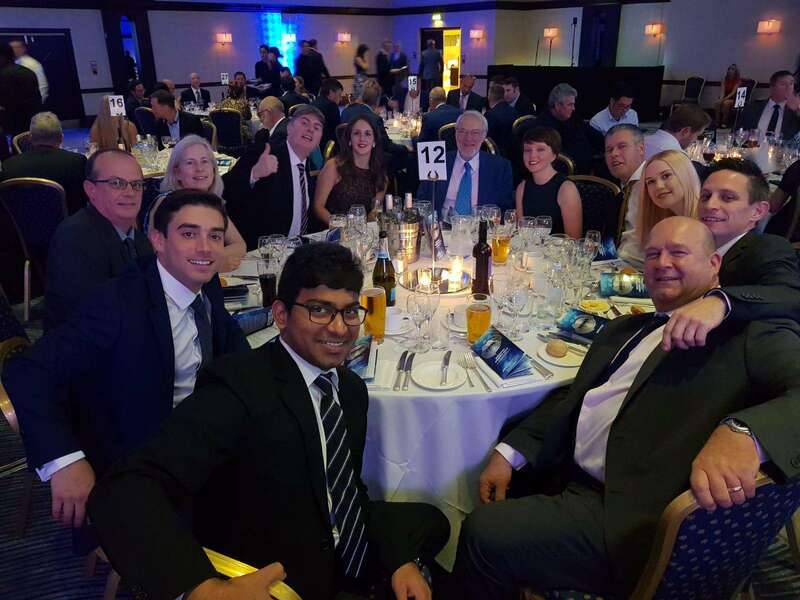 But the night was a double victory for Adelphi, with their brand new System F-600 liquid filling machine awarded Highly Commended in the Innovative Process Machinery category. The primary benefits of the System F-600 are lower operating costs, greater standards of hygiene, the ability to quickly and cost effectively increase the capacity of filling lines as demand dictates and increased production output. It offers outstanding and pioneering cleanliness and production flexibility, as well as exceptional cost-saving efficiency. With an intelligent servo-controlled motor, the volumetric F-600 is capable of handling product viscosities of up to 500,000cps using an innovative patented cylinder valve design, with patent pending for the nozzle. The whole Adelphi team are understandably delighted, with managing director Chris Wilson commenting that “these awards reflect the commitment Adelphi have to pursuing excellence. We are constantly looking to improve our machines and our processes, and are thrilled to have been recognised among our peers on such a prestigious occasion”. To see how Adelphi can help your business, please don’t hesitate to get in contact on +44 (0)1444 472300 or email sales@adelphi.uk.com to find out how we can help.